Our organization plays an important role in offering Stretch Wrapping Machine to our clients. This machine is able to operate in reliable manner for years. 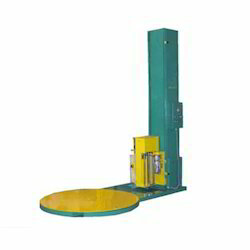 This machine is developed using latest tools and components and is free from all types of defects. The experts have done rigorous inspection of this machine before offering to our clients. This machine is reliable and is offered in customized and non-customized options. It is new generation wrapping machine.